I finished reading this 300 page novel in a week, and that along with work and blogging and what not. I usually do not have great expectations from Indian authors, and a very few surprise me with the quality of their work. 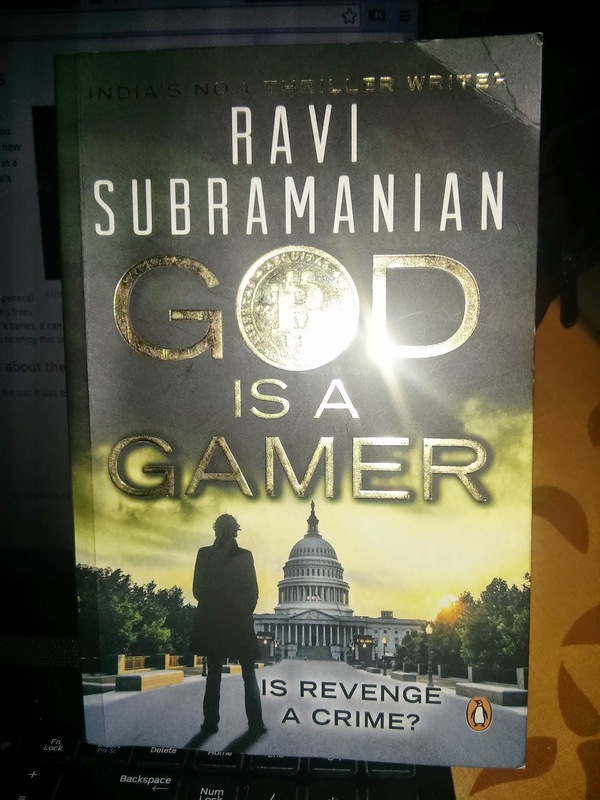 I have not had the chance to read other books by Ravi Subramaniam; and the whole banking theme made me feel the book would probably be boring and would drag. But no, it's gripping till the very end! Cover: Of-course, we don't judge a book by it's cover, but I really like the gold finish and the bitcoin symbol used. 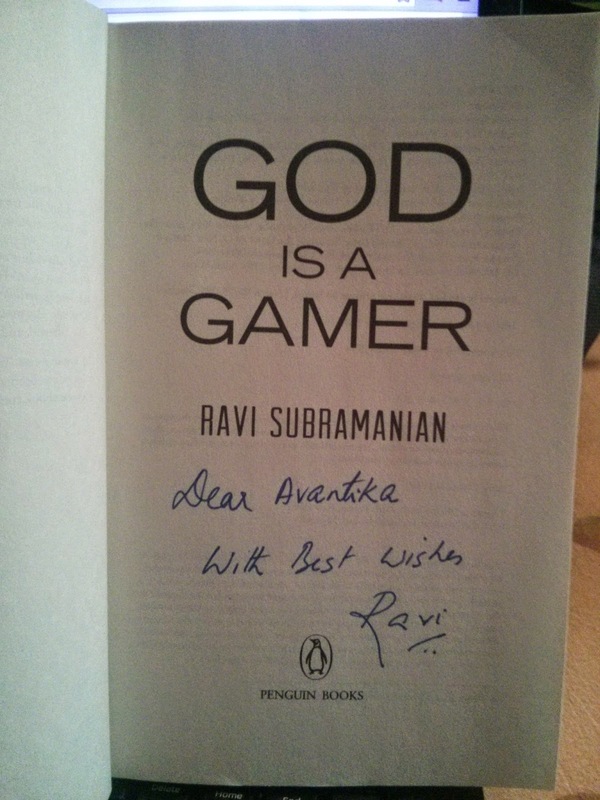 And whenever a book comes in specially signed by the author, I feel really special, adds such a value to the book! What I liked: The book is very much a present entity. With things like social media, virtual currency, e-commerce and so forth, the young generation can totally "get" the book and enjoy it thoroughly! I really loved how real incidents, facts etc have been incorporated into a piece of fiction. Take the Goan riots that took place, or the fact that there really is something called Bitcoins founded by the same guy as mentioned, or the games like Townsville. Also, there are so many characters and locations that I was sure that I would soon be confused regarding what's going on. But that never happened, the author has very nicely and seamlessly incorporated all the characters and locations, keeping the chapters very small but not letting one loose track of the story. I'm not sure if I have a favourite character, but if there has to be one then it would be Adrian! The end really makes you ask yourself, if revenge is a crime? What could be better: I think the ending was a little too hasty. I would have liked the revealing of the culprit and the real culprit (or hero in this matter) to be a little more detailed. Everything is rushed up in the end, maybe it could be a little more lengthy. Verdict: It definitely is a must read! The book was captivating right from the start to the end. And all the knowledge it gave too, I did not know about quite a few things and was more than happy to Google search terms and know more about them. Will definitely get my hands on other reads by Ravi Subramaniam too. It's a 8.5/10 for me.